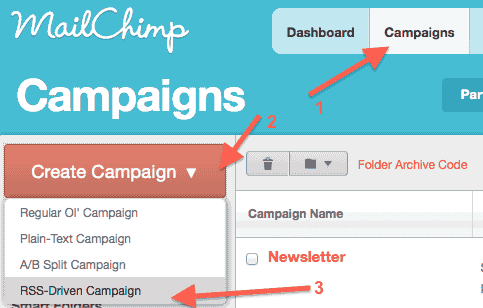 First login to MailChimp account, then click on Campaigns and then click on Create Campaign. Next step is to select the recipients. Please note that you must have created an email list so that you can select it here. You can leave other options (tracking, social networking, etc.) to their default values. Next step is to design your template. 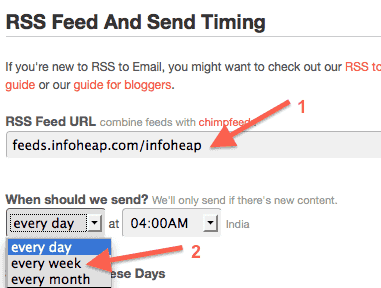 Click on basic template and select Rss category on the left side. 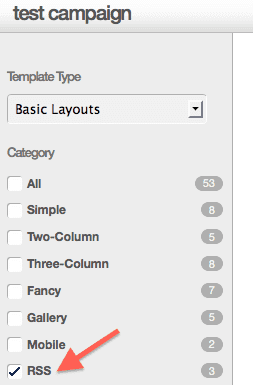 Select RSS basic template. You can remove mailing address from the template if it is a personal blog. Click on Preview and Test. Customize the template as per your needs. Click on next step (Plain text). Click copy text from html. In the final Confirm step, send a test email to yourself to make sure everything is correct. 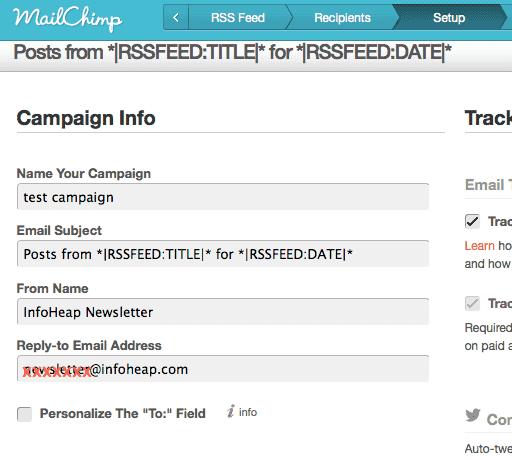 Click start RSS campaign. In case you need to pause of delete a campaign, you can go to campaign page and take the required action.